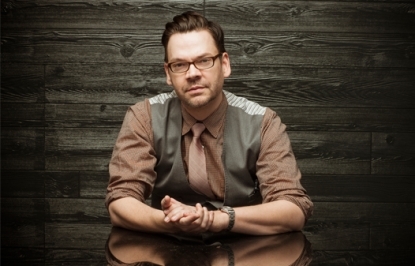 Come out for a night of humor and mind-blowing magic with standup magician, Derek Hughes! The live performances of celebrated conjurer, “Stand Up Magician” Derek Hughes, have been lauded by audiences and critics alike, with the New York Times calling him “thoroughly entertaining.” Hughes has performed his magic on MTV, VH1, Comedy Central, the CW's Penn & Teller: Fool Us and is a creative producer on TRUtv’s hit magic series, “The Carbonaro Effect”. Most recently, he was a finalist on season 10 of NBC's “America’s Got Talent”. Part of Temple University Welcome Week 2018.